“No coincidence, no story,” my a-ma recites, and that seems to settle everything, as it usually does, after First Brother finishes telling us about the dream he had last night. I don’t know how many times my mother has used this praising aphorism during the ten years I’ve been on this earth. I also feel as though I’ve heard versions of First Brother’s dream many times. A poor farmer carries freshly picked turnips to the market town to barter for salt. He takes a misstep and tumbles down a cliff. This could have ended in a “terrible death” far from home—the worst thing that can happen to an Akha person—but instead he lands in the camp of a wealthy salt seller. The salt seller brews tea, the two men start talking, and . . . The coincidence could have been anything: the salt seller will now marry the farmer’s daughter or the farmer’s fall protected him from being washed away in a flood. This time, the farmer was able to trade with the salt seller without having to walk all the way to the market town. “My dream?” The request surprises me, because neither of my parents has asked this of me before. I’m just a girl. Unimportant, as I’ve been told many times. Why A-ba has chosen this day to single me out, I don’t know, but I hope to be worthy of the attention. “I was walking back to the village after picking tea. It was already dark. I could see smoke rising from household fires. The smell of the food should have made me hungry.” (I’m always hungry.) “But my stomach, eyes, arms, and legs were all happy to know I was where I was supposed to be. Our ancestral home.” I watch my family’s faces. I want to be honest, but I can’t alarm anyone with the truth. “What else did you see?” A-ma asks. In our village, power and importance go in this order: the headman; the ruma—the spirit priest—who keeps harmony between spirits and humans; and the nima—the shaman—who has the ability to go into a trance, visit the trees God planted in the spirit world to represent each soul on earth, and then determine which incantations can be used to heal or enhance vitality. These men are followed next by all grandfathers, fathers, and males of any age. My mother is ranked first among women not only in our village but on the entire mountain. She is a midwife and so much more, treating men, women, and children as they pass through their lives. She’s also known for her ability to interpret dreams. The silver balls that decorate her headdress tremble, catching the firelight, as she waits for my response. The others bend their heads over their bowls, nervous for me. “Our supreme god gave every man and woman his or her own chicken?” First Brother scoffs. “I worked on my embroidery before bed,” Ci-teh confides. “I fell asleep before my a-ba had his pipe,” I tell her. “How many different parasites can you spot on the trees before we get to that boulder?” I hoot. “How are you doing with your weaving?” Ci-teh asks, knowing I haven’t shown a talent for it. “See you at the tea collection center,” I say when Ci-teh follows her a-ma onto another path. I linger—watching them scramble up a steep stretch of mountain, their empty baskets bouncing on their backs—and then I skip ahead to catch up to A-ma. I understand. More leaves means more money to be paid by the tea collection center. When my basket is full, I find First Brother, who transfers my pickings into a burlap sack, and the process begins again. We break for a lunch of rice balls rolled in dried moss, and then pick all through the afternoon. I stay close to my mother, who sings to keep us in the rhythm of picking and to remove our minds from the heat and humidity. Finally, A-ba calls, “Enough.” We gather at the spot where First Brother has been consolidating our harvest. The last leaves are packed into burlap sacks. Then each sack is strung with ropes and a flat board. A-ma mounts the smallest one on my back, wraps the ropes over my shoulders, and secures the board on my forehead. All this is to help us carry the weight evenly, but the pull of the ropes on my shoulders and the press of the wood against my forehead are instantly painful. “What are you doing back there?” I ask. As the others relax, I wander back across the courtyard to the boy. “Are you going to tell me why you’re hiding back here?” I ask as though no time has passed. “Li-yan,” I answer, my mouth happily full. My given name is used only at school and for ceremonial purposes. In my village, people call me Daughter-of-Sha-li (my a-ba’s daughter) or Daughter-of-So-sa (my a-ma’s daughter). In my family, I am Girl. “What is this all about?” A-ba’s voice is polite and even. He can be gruff at home, but he’s clearly trying to blow away the pancake seller’s anger with his polite Akha ways. “I took it,” San-pa admits, but it doesn’t seem to cause him any pain. He’s so matter-of-fact it’s as though he’s talking about rainfall or how many eggs the chickens laid last night. “San-pa was born on Tiger Day, the ninth day of the cycle,” his mother answers, trying to be helpful. San-pa’s father reaches into an indigo satchel tied at his hip, but A-ba says, “A girl has only her reputation. As her father, I will pay the amount owed.” He pulls out a couple of coins from the paltry sum we earned today and drops them into the Dai woman’s hand. The Dai woman yanks San-pa’s ear one more time. “Let me see you going but never coming back.” It’s another familiar, but haunting, curse that again hints at a terrible death. Fortunately, she does not say the same words to me. San-pa’s parents begin to drag him away. He looks over his shoulder to give me one last grin. I can’t help it. I smile right back. “Humans and spirits, water buffalo and tigers, and chickens and eagles needed to be separated,” I recite nervously. This reading group guide for The Tea Girl of Hummingbird Lane includes an introduction, discussion questions, and ideas for enhancing your book club. The suggested questions are intended to help your reading group find new and interesting angles and topics for your discussion. We hope that these ideas will enrich your conversation and increase your enjoyment of the book. 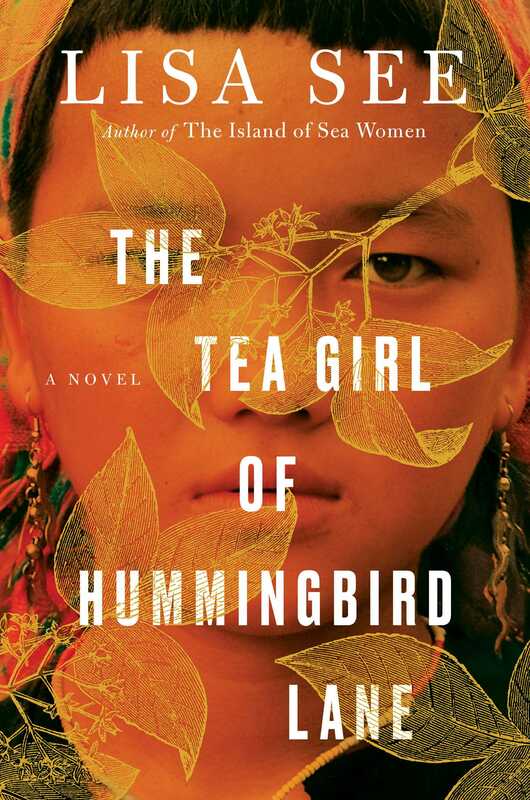 In this stirring coming-of-age novel, a young Chinese woman finds purpose, passion, and the key to a new life in the tea-growing traditions of her ancestors. High in the Yunnan mountains, Li-yan and her family, members of the Akha ethnic minority, live according to the precise rituals of their people. Then one day, the market economy, in the form of a businessman seeking a rare tea, arrives at their remote village and changes the community forever. As Li-yan’s family adapts to the incursion of the outside world, she falls in love with a boy who her mother believes is an inauspicious match. When she bears his child, instead of hewing to the tradition that would have her kill the little girl, she leaves her baby, wrapped in a blanket with a special tea cake inside, on the steps of a nearby orphanage. Through hard work, education, and an appreciation for Pu’er, her people’s special tea, Li-yan eventually makes a life for herself in the wide world outside her village. Yet, even as she finds a business and a husband that she loves, she never stops thinking about her lost child. 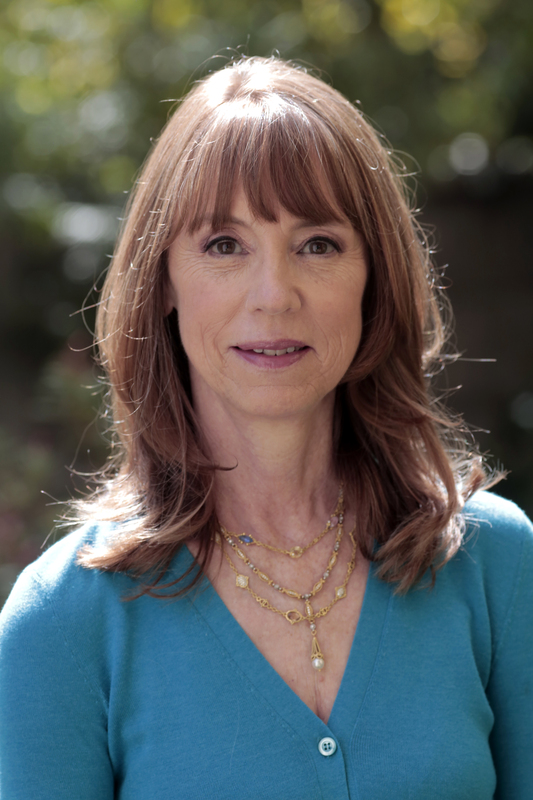 A story of family, identity, and motherhood, Lisa See’s The Tea Girl of Hummingbird Lane is a moving journey through a little-known world. 1. Discuss the significance of the epigraph. The Book of Songs is the oldest extant collection of Chinese poetry, written between the seventh and eleventh centuries B.C. What kind of resonance does it have today? 2. The Tea Girl of Hummingbird Lane begins with the Akha aphorism, “No coincidence, no story.” What are the major coincidences in the story? Are they believable? How important are they in influencing your reaction to the novel as a whole? 3. Perhaps the most shocking moment in the novel comes with the birth of the twins and what happens to them. A-ma explains that “only animals, demons, and spirits give birth to litters. If a sow gives birth to one piglet, then both must be killed at once. If a dog gives birth to one puppy, then they too must be killed immediately” (pages 27–28). The traditions surrounding twins are very harsh, to say the least, but were you able to understand what happens to them within the context of Akha culture? How does this moment change Li-yan’s view of Akha Law, and what are the consequences? Are there any aspects of the Akha culture that you admire? 4. What is Li-yan’s first reaction when she sees her land? Why does A-ma believe the tea garden is so important? Why does A-ma believe that the trees are sacred? What is the significance of the mother tree? 5. San-pa and Li-yan’s relationship ends tragically and causes them both great pain. Is what happens between them fate, or is it bad luck? In your opinion, does their community’s negativity about their union shape the outcome of their marriage? Does his death change your feelings about him? 6. Can the experience Li-yan’s village has with selling Pu’er be thought of as a microcosm for globalization? Why or why not? Are all the changes to the village positive? Given all we hear about China being a global economic superpower, were you surprised that the novel starts in 1988? 7. As a midwife, A-ma occupies a position of relative power on the mountain, although as “first among women” (page 4), she still comes after every man. Can such a traditional role for women be truly empowering? In the context of their society, what are the limits and expanse of A-ma’s power? 8. This novel uses a number of devices to tell Haley’s story, including letters, a transcript of a therapy session, and homework assignments. It isn’t until the final chapter, however, that you hear Haley in her own pure voice and see the world entirely from her point of view. Did this style of storytelling enrich your experience of the narrative? Did it make you more curious about Haley? 9. In the chapter transcribing a group therapy session for Chinese American adoptees that Haley attends, many of the patients have mixed feelings about their adoptive and birth parents. Were you surprised by their anger? Did reading this novel affect your feelings about transnational adoption? 10. The three most significant mother-daughter relationships in the novel are those between A-ma and Li-yan, Constance and Haley, and Li-yan and Haley. The connection between Li-yan and Haley, although arguably the emotional center of the novel, exists despite the absence of a relationship: though the two women think a great deal about each other, they do not meet until the very end of the story. How does this relationship in absence compare to the real-life relationships between A-ma and Li-yan and Constance and Haley? 11. What are the formal and informal ways in which Li-yan is educated? How are they different from the ways other members of her family were educated? What role does Teacher Zhang play in Li-yan’s life and how does it change over the years? How important is education in Haley’s life? 12. Li-yan is much older and more experienced when she meets Jin than she was when she fell in love with San-pa. How are the two men different? What do you think Li-yan learns from her first marriage? 13. Almost everyone in the novel has a secret: Li-yan, A-ma, San-pa, Mr. Huang, Deh-ja, Ci-teh, Teacher Zhang, Mrs. Chang, and Jin. How do those secrets impact each character? How are those secrets revealed and what are the results, particularly for Li-yan and Ci-teh’s relationship? The only person who doesn’t have a secret of major significance is Haley. What does that say about her? 14. When Li-yan returns to her village to confront Ci-teh, the ruma tells the women that Li-yan is still Akha even though she has a new home and lifestyle. How do questions of identity, especially as they relate to Li-yan’s status as an ethnic minority, play into the events of the novel? How does Li-yan’s identity shift? Do her nicknames, especially her American nickname, inform this shift? 15. By the time Li-yan and Haley meet, each has been searching for the other for many years. However, Haley already has a family and an adoptive mother. Is there room for Haley to have two mothers? How do you think Li-yan and Haley will relate to each other—as mother and child, or will their roles be something slightly different? What do you suppose Haley and Li-yan will talk about first? 1. Sample Pu’er as a group. How does it compare to your experience of other kinds of tea? 2. If you have access to one, visit your local Chinese history or art museum. 3. Consider reading Lisa See’s Snow Flower and the Secret Fan, which follows a lifelong friendship between two women in nineteenth-century China. 4. To learn more about tea, see videos about the Akha, look at Lisa’s photos from her trip to Yunnan, or learn how to have your own tea-tasting book club, please visit Lisa’s website at www.LisaSee.com.